This year, I decided to choose a mission word for 2019. My word is action because dreaming big is just the beginning, but change requires so much more than a great idea. We need a plan for action with results… No matter if we are 14 or 41…. Every month, I am going to complete #soulinspiredchallenges and make my goals a reality. I have chosen “action” as my mission because I want to demonstrate what can happen when you fully believe in yourself. I am a former foster youth, survivor, warrior, and single parent. My story is about overcoming but it is also a story of choices – I choose not to be limited by failure. Throughout my life, I have struggled with self-belief and making the best choices. Self-belief is the ability to visualize my potential instead of focusing on the pain of my past. Self-belief allows me to live and fulfill my passion and purpose. Early on in my journey, I rarely opened up in relationships, mostly because I over analyzed and started to think that if I was completely honest, I would get hurt. In the past, I had reservations about being completely authentic because my fear would seem to get the best of me. I would retreat and let self-doubt take over. My anxiety told me that something would go inevitably wrong. Relationships were unsuccessful because it was easier to brainstorm all the things that could possibly go wrong than all the ways it could go absolutely right. I knew my disbelief kept me stuck when I knew I had every right to be free. Why didn’t I self-correct? Why didn’t I try harder to become less defensive? Over time, I learned that relationships are hard work, but most of all, they just need trust, time and patience to grow. Action is required to progress and propel ourselves forward. This is for sure- we are constantly in flux. I have found myself on the fringe, and almost given up entirely, resigning myself to my setbacks. Fortunately, I eventually self-corrected and chose transformation. I emerged stronger and more determined to succeed. I learned to overcome my fears. It didn’t happen naturally. It was difficult because I had to acknowledge my flaws and change my focus. The irony is that I was hindering my own evolution because I was fighting the woman I “could have become” if I hadn’t failed myself and others. It took me a while to realize that we have capacity for healing… There is not a special code for breaking through your pain to get to your purpose. Sometimes purpose is revealed in the pain. I have failed countless times in relationships because I built walls of steel or wore my heart on my sleeve. Guess what? A few people actually stuck around to reveal unconditional and unrelenting acceptance. I have been fortunate to experience relationships that flourished because of compassion and grace. Thanks to them, I can write these paragraphs. I have battled my insignificance and learned that my flaws are not a death sentence but an awakening to my own discovery. I am much more on my way to experiencing freedom than staying imprisoned by fear and anxiety. In the past, my fear of abandonment latched onto small indiscriminate facts and turned themselves into novels within seconds. These moments translated into self-hate. I didn’t even realize I was struggling because I was in survival mode. I felt numb while trying to cope with loss after loss. I wasn’t living like my life mattered…and I was only susceptible to more ache and loss. I finally made changes in my life. . . This journey affords many lessons to be cultivated- remnants of the previous seasons exist to provide my life with lessons not to be taken for granted. I am very much that lotus in muddied waters. I am surviving and learning to thrive as a warrior. I want to make a difference and keep growing and expanding my understanding of myself and others. I want to show compassion and grace, but in reality – I need to offer myself compassion and grace each day. I will live intentionally and take action. I embrace my full worth and will keep stepping into my future because I know hope through resiliency. Finally, I am not ashamed of my past. I claim my recovery. I affirm how my action and/or inaction determine the outcomes for my life. There is a promise hidden in the muck, a pearl of wisdom waiting to be grasped- Our trauma does not have to hold us back, if we understand how our healing can move us forward. You are invited to follow me and take action in your own life. Together, we can make it happen! ACPA17: Work-Life Balance, Resiliency & Hospitality! The national convention for ACPA17 is right around the corner! I’ve experienced so much positive energy from being a member of this diverse community! The annual convention experience refuels my purpose and transforms my work in Higher Education. I’m looking forward to the opportunity to Connect, Experience, Reflect, Invest, and Transform! This month, I have a new opportunity to present with Renée Hill, Dean of Student Life, and Denise Harris, Vice Provost for Student Engagement at Hilbert College, Buffalo, N.Y.. We will present an educational session at the upcoming American College Personnel Association (ACPA) conference, titled “Work-Life Balance: Interwoven Life Tapestries of Motherhood, Management and Mentorship.” The session is sponsored by the Coalition for Women’s Identities and the Commission for Administrative Leadership. This is my first educational session at a national conference and it’s an honor to present with my current and former supervisors; both of these women shaped my career in Higher Education; they are also role models and examples of women who are exemplary in leadership. I am thankful for their roles in developing my strengths and their support to help me grow as a manager, mentor and mother. During ACPA, I will also give a PechaKucha called “Never, Never Give Up: The Resiliency of Former Foster Youth.” I will be speaking about my experiences as a former foster youth and the development of the Columbus State Scholar Network. My session will be given in an innovative presentation format in which presenters show 20 images for 20 seconds each, covering a wide range of topics, ideas, perspectives and thoughts. I have been working on my session for over a month; it’s going to be difficult to speak about my life and passion in only six minutes and forty seconds! I am incredibly excited to have this platform to share about my growth and how we can all support former foster youth in college. Finally, it has been a great learning opportunity to serve as the hospitality coordinator on the ACPA17 convention experiences team. I have been overseeing the development of the Welcome Kiosk, Lactation and Family Space, Service-on-the-Go projects, and the affirmation and reflection boards. I am thankful to be a member of the planning team, they have been nothing but supportive; together, we have brainstormed ideas to shape a great convention experience for 2017! Being a part of the planning team has helped me to refocus my attention on the heart of hospitality and enhance my practice with my students to consider their needs and to focus on tangible ways to support them as they face challenges in their lives. You can read my complete online blog post, “What’s Your Happy Place?”(about the conference) here. Self-care and so much more…at Ohio Reach’s first College Retreat! I have attempted to keep my writing separate from my work, but this week, my professional career and personal journey of transformation blended. This week, we conducted a week-long conference and inducted new Scholars (former foster youth) into the Columbus State Scholar Network. We have nearly 20 students this semester! Yesterday, Columbus State Community College also hosted the first State-wide College Retreat coordinated by William Murray IV and Ohio Reach. Thanks to William Murray IV, Ohio Reach had six colleges in attendance including Clark State, Cincinnati State, Ohio University, Central State University, Columbus State, and Cuyahoga Community College. Yesterday, I was honored to speak about practicing self-care while also sharing my story as a former foster youth. Self-care is so important….there have been times that I wanted to give up but did not because I implemented practices in my life that sustained me and kept me on the right track. I focused on meditation and journaling as key ways to cope with stress. I shared specifically about my journey, not just my life in foster care. I spoke of my desire to reconcile with my biological mother and the day I introduced her to my son. I shared about my emotional path from hate to love, and ultimately about the process of developing empathy and unconditional love for my mother- who died in 2014 from brain cancer. As I opened my heart to future leaders, I felt this amazing energy in the room and it propelled me to push through to be open and vulnerable about my journey of transformation and impact. Over the course of my life, I never once imagined I would be working in Higher Education – and I never ever thought I would be supporting foster youth. I always ran from my identity as a foster youth. I wanted to be more than a foster kid & I believed that I would be the one person in my family to change to cycle of abuse. And when I had an unplanned pregnancy….so much of my fear and denial made me come face to face with my past; I made a promise to myself to build a better future for my son and I.
I am blessed to be a collaborative partner in growing the next generation of foster youth into scholar leaders; I seek to cultivate a culture of mindfulness so they can make their dreams a reality! Today’s retreat was a reminder that no matter life’s barriers and obstacles, we can all aim higher via education, reflection and action. All of the speakers focused on moving forward, purposefully! Speakers for the College Retreat also included, Genesis Shine and Nikki Chin (Columbus State Scholars), Rayshawn L. Wilson, “LionHeart,” and Dr. Stephanie Krah (Central State). All of the students also received 10 Ways Anyone can Graduate from College Debt-free, by Kevin Brown (former foster youth), Amazon Fire tablet and a twin-sized quilt from My Very Own Blanket. FINALLY, I am so incredibly thankful to be a member of the Scholar Movement that is spreading across Ohio! A sample quilt donated by My Very Own Blanket; each Scholar received a twin-sized quilt and pillow-case! One of the focus areas of the day was relaxation; Scholars colored and received their own Zen Gardens. Jessica Hollins, CEO and Founder of My Very Own Blanket shares the history of the organization. The FIrst Annual Ohio Reach College Retreat! The challenge of compassion…and a few lessons along the way. When I was fifteen years old, my mom gave up her parental rights to stay with the man who molested me. As a teenager, this reality broke my heart. My mother and I never had a very close relationship; I felt like a burden, rather than a blessing. I have referenced these feelings before, I felt worthless and rejected; the pain I endured, left an imprint on my life. I spent a lot of my life struggling to overcome the odds of feeling less than, rather than greater than these emotional hardships. I worked incredibly hard to graduate college, participate in AmeriCorps, and attend graduate school; I transitioned from my own personal struggles to focusing my energy on making a difference in my community. No matter my professional accomplishments, my heart was still fractured and all of my relationships suffered. So, when I reconnected with my mother two years ago, I didn’t know what to expect. Throughout life, I learned to have zero expectations; but this time, I earnestly hoped for reconciliation, but I never imagined that we would have so little time to overcome a lifetime of ache; the challenge of compassion revealed the possibilities, including forgiveness. All along the way, I felt an ever-present peace and abundance of hope through my faith. This abundance made itself known when I became a single mom a couple years ago. Hope was the ultimate message communicated to me and I learned that everything, is indeed possible. I was strengthened most by the people who came beside me and loved me—without judgement. God essentially prepared my heart to love my mom, by blessing my life with a child. It was through the process of becoming a mother, that I surrendered my heart to my creator. In this context, my heart was prepared for the challenge of compassionate action; this was the path to loving my mom. 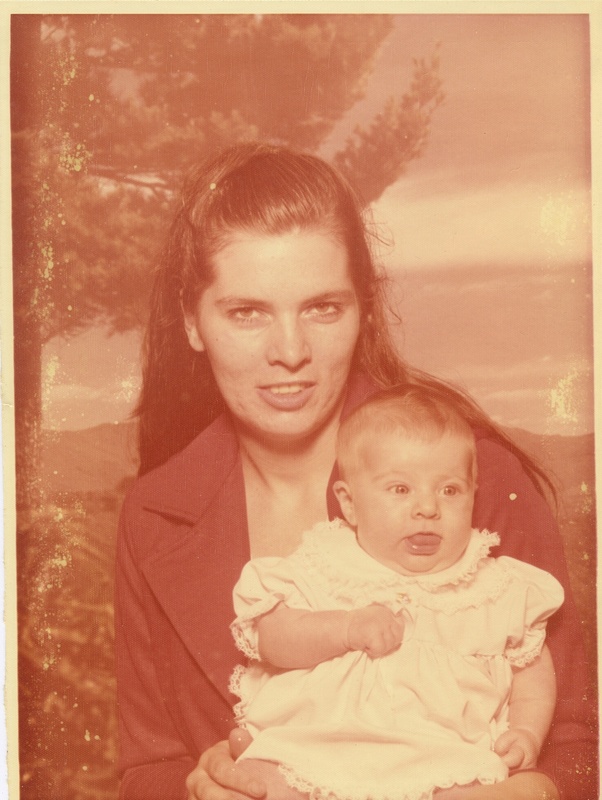 My mother was adopted; as far as I know, I know she was loved, but she always felt discarded, unlovable and rejected. My mother came into this world feeling unloved and throughout my mom’s life, she sought love in all the wrong places; after three marriages; she ended up very alone. Seven months ago, when my mom was diagnosed with brain cancer, I made a promise – I wanted her to know she was loved. No matter the struggle, I chose to stay and be present with my mom, offering my time (and as many milkshakes as possible)! Loving my mom was a process and gradual evolution of my heart progressing towards loving authentically. In the beginning, I was angry and frustrated; especially when my mother refused to get the care she needed or when she refused to tell her children the truth we deserved to know. We had questions and wanted answers. Over time, I learned to shut up, let go and be open. I think that’s an enormous lesson to practice…the art of learning to listen; listening requires that I purposely let go of my agenda. It was important for me to step into her experience and feel a fraction of her ache; this didn’t excuse her from the pain she caused in my life, but my heart surrendered my resentment and hurt. I relinquished my demands, questions and anxiety to know peace that passes all understanding. I forgave her and I believe that forgiveness set her free and helped us to understand each other better. Forgiveness didn’t erase years of disappointment and estrangement, but my pain was eased and I was able to let go and finally love without creating conditions or rules; the process of surrendering created a safe space for love to grow. There were other key influences in my life; I definitely drew strength from my faith and people like Mother Teresa and Henri Nouwen. I have always had people in my life who offered their support. Their acts of kindness kept me from diving into depression, they motivated me to keep my chin up, and inspired me to accomplish my dreams. I attended a Christian college and had mentors and volunteer experiences that changed my heart. I learned about living compassionately and love in action. Those lessons and influences are integral to the woman I am today. I experienced generosity and was inspired to pay it forward; my heart experienced growth because seeds were sewn into my life. Those folks were mostly women, who I still have connections with today; my elementary art teacher, high school english and spanish teachers, my foster family, job supervisors, mentors, roommates and classmates. My heart was prepared/c onditioned for healing; whenever I found myself in the same room with my mother, I wanted to find the nearest exit. I didn’t know what I could offer, but I learned to offer simple things, like a milkshake or smile. After my mother’s diagnosis, during the first few months, whenever I sat with my mother, I saw her as a person first, and a mother last. For years I suffered a great loss, because she gave me up. There is a unique irony to our stories, because we both felt discarded, unlovable and rejected. My mom never took responsibility, she never apologized, she never acknowledged my experieinces with her understanding, until this past October. During my childhood and adolescence, she ignored my suffering and disposed of me, when she should have fought for me. This stung a thousand bee stings (and I am allergic to bees). Ultimately, this painful cycle convinced me to be the best mother I could become; I’m thankful for my son and the lessons I have learned over the past year. I focused on letting go and actualized forgiveness; as a result, I became my mother’s daughter; we were no longer estranged from one another. My mother and I learned how to be family once again. That transformation changed our lives forever. Over the past two weeks, I have had time to reflect and recognize the power of moments; some of them will always be indescribable, but I’ve attempted to encapsulate them into 5 challenges/lessons; I’ve written them as as a way to honor my mom; I am thankful for the gift of transformation…. The Challenge of Compassion, #1- Approach forgiveness as an opportunity to help, rather than be helped. In the process, all hearts have the opportunity to be changed. The Challenge of Compassion, #2- Hope despite all impossibilities; healing is possible, when you stop giving the past power over the present; forgiveness truly mends the broken-hearted; fragments are sewn into wholes, the empty spaces are filled with love. The Challenge of Compassion, #3- Simply being present is a gift. Kindness isn’t about what we can give, but it’s about how we give- it’s about the quality of presence, not the quantity or value of many presents. The worth of our presence will always surpass everything else. The nurse who took care of my mom, came to the nursing home and was by her side during her last moments. During the past 7 months, she was very supportive to my mother. She eased my mother’s pain with her presence; she always appeared to offer her help, especially when she wasn’t working. She made the choice to be with us. In one minute, she was getting us coffee and the next, she was listening to my mother’s last breaths. No one that morning at the nursing home took care of us. They had other things to do, I suppose. My mom’s nurse totally went out of her way, many many times and never asked for anything in return. I am so thankful for the gift of her caring presence (#3); it was beyond comforting. Since my mom passed, we have told one another, we would be friends for life. Two years ago, I didn’t know I would lose my mom this January. I can’t change the past. Honestly, I spent the first year and five months, being distant and reserved. I was taking baby steps, trying to play it safe; I justified my actions;. After all, I did not have a relationship with my mom for 10 years. I was careful yes, and I should have been, but looking back, I could have done more to express my desire to get to know her again. All and all, I didn’t think I was ready. And I wasn’t. But if I had pushed myself just a little, we might have had more time together in the beginning. I am very thankful for the past seven months and for what happened between us- our hearts aligned in a beautiful constellation of understanding. Courage provided the strength, but I could have done so much more. As a writer/artist and mother, I choose to openly express my vulnerabilities, in order to give transformation — the way God comes into our lives — permission to change my heart. I guess I can honestly say that 2013 has been a tremendous year filled with new challenges; in a nutshell, my heart has been through the shredder; if you gather and tape together all the pieces, I think this is what you would read…. I have recorded many instances where I have fought incredibly hard to be strong, in some instances (maybe all), I kept people an arm’s length away (okay, so maybe even hundreds of miles). This year, circumstances forced me to confront my insecurities and fears; I’ve learned more this year, than ever, that all things grow with love. For years (well into adulthood), I couldn’t push through the victimization of my childhood, I always took pride in declaring that I was a survivor, but internally, I remained wrecked as a victim. Body paint made me a warrior, but my soul lost its ignition somewhere along the way. Loss homogenized itself in being lost, while attempting to turn the car around in more promising directions. During therapy as a teen, I was told by my therapist, that it was up to me to break the cycle of abuse. For years, I never knew completely, what she meant, because I was caught up in blaming, rather than accepting the responsibility of taking ownership of my life. I basically designed a battleground with trenches, for my heart to hide while my soul searched for answers; I was completely immersed in muddied waters. No matter what I achieved in my life, I kept returning emotionally, to the closet of my childhood; a safe haven for my wounded heart; time and time again, my fears filled years with unnecessary tears until I became camouflaged against the wall, my spirit sunken with insecurities; I was squeezed, dried and exfoliated with anxiety. Honestly, I have felt like a pile of rags, not even worthy of a rummage sale. To overcome challenges, I learned how to thrive within muddy waters. I think the Son has a lot to do with that! Many times over, amazingly enough, at my own ground zero, I have felt the extraordinary generosity and compassion from people all around me, but the first time, I encountered growth, was in the embrace of my foster family, who loved me for me. They nurtured and provided me with a home, when I felt unlovable as a teenager. I have learned to daily resign my fears and give my roots permission to become acquainted in the salutation of being entirely welcomed. Just as I was welcomed into a family 20 years ago. This is the lesson/gift I wish to pass on to my son…. All things grow with love . . .
On Christmas Eve of this year, I presented the women in our family with a necklace, which symbolized much more, than just a family tree. With children (too excited over gift-giving and receiving) in the room, I could hardly speak, I attempted to make a formal announcement, explaining the symbolism of the gift I was giving. I but I could not literally speak all the words, I wished to speak, so, here they are . . .
. . . this year is a special year; it’s the 20th anniversary of an important day in my life. I wish to take this moment to celebrate a life-changing conversation that took place at a winter retreat held in Ripley, West Virginia; we sat around a 6ft table and you changed the course of my existence through your open invitation to join your family; your decision to love me, enabled the transformation of a fragile young girl into a strong woman. Nearly 21 years ago in 1993, you opened your hearts and invited me to become your daughter and sister. During my personal struggles this past year, I have been reminded repeatedly, about your gift of family. My heart is filled with gratitude for the decision you made to love me, when my own biological family rejected me. The circle of family is truly, never-ending, which has given us the awesome opportunity to grow in love. The tree has many branches, for we have grown both in love, and in numbers, including the arrival of five grandsons (Papa’s basketball team). Through all the seasons, for many years, no matter what, you have nurtured my faith to withstand all the stormy seasons of life (did you notice, that the leaves are still intact?) Again, my heart is filled with gratitude and I am thankful for the love that has grown between all of our hearts (especially between all the cousins) – I am so thankful to be a member of this family! Last week, when I heard him shout, “Win your life back,” I wept. Since I was 11 years old, food has been an inappropriate coping mechanism. At first, I ate, because I thought if I was fat, I wouldn’t be (sexually) abused. But he didn’t care; he abused me daily, for three years. Eating food was the one thing I had control over, so I kept eating and eating; Unfortunately, this has been my fight for the past 25 years; even when I was in foster care and had a supportive foster family, I kept over-eating; even after I had my gallbladder removed, I kept over-eating; even when I earned my MA in Creative Arts Therapy and knew better, I kept over-eating. Over the past month, while spending time with my mom during her radiation treatment (for her brain cancer), memories have resurfaced in full force about my childhood. At first, I wanted to maintain a safe distance; but during the process of forgiving her, I realized how important it is to accept grace and forgive myself too (daily). Over the past few months, I have gained weight; everyone has been kind; no one has pointed it out, except, I feel it every day, when I try on my clothes and they don’t fit like they should. It’s as if my childhood is mocking me; I’m definitely ready to stop reaching for the comfort food; it’s so ironic, that comfort food actually makes me feel so uncomfortable; I just want to build a fort and hide; instead, I just need to sit at the table and give myself permission to eat healthy and be thankful for a new day to begin again. A pinch turned into a roll into curves into the full-figured voluptuous woman that appears before you today, but when I was a child, a natural instinct to eat three meals a day was warped when self-confidence diminished at the hands of an abuser. A candy bar turned into a bag of chips into a pint of ice-cream into stuffing my body with food; this process insulated my body with a layer of protection to fight off his advances at age 11. I had convinced myself that if I was overweight, he would leave me alone. I figured that if I was unattractive on the outside, that he would stop looking at me; all of this thinking and eating did not stop him at all. Worst yet, my mother ignored the abuse and told me that she wasn’t going to have a fat daughter, so she forced me to exercise each day, proving that she didn’t give a damn about what I was feeling on the inside. Three years passed and I was thickened like a plump chicken; I wanted nothing more than to die; a recipe for redemption was inscribed upon my right thigh and I found a way out by speaking the truth. Years of molestation ceased to be a part of my daily routine but food continued to console my mind and 126 pounds turned into 157 into 176 into 198 into 210 into 234 into 246 (what I weigh right now). A pattern of compulsive eating without exercising has given my body an over-sized shape and created a false facade; my curves are my battle wounds; they have been gaping open for 25 years. Today, I begin to heal, inside out….